Farbenfroh zeigt sich das Sony Vaio VPCCW2S1E/L (ca. 840 Euro): Neben Schwarz und Weiß ist das kleine 14-Zoll-Gerät auch in Rot, Blau und Pink erhältlich. Der Core i3-330M ist mit 2.13 GHz langsamer als der in diesem Test am häufigsten vertetene i5-520M mit 2.4 GHz, und wegen des fehlenden Turbo-Boosts kann er seine Taktfrequenz im Einzelkern-Betrieb nicht hochfahren. Ob der Sony Vaio VPCCW1S1E ein Schmuckstück ist, bleibt Ansichtssache. Ein - bis auf das Akkufach - ordentlich verarbeiteter Rechner mit guter Ausstattung ist das System aber auf jeden Fall. Gefallen haben uns die sehr guten Eingabemöglichkeiten, ein umfangreiches Softwarepaket sowie die komplette Schnittstellenausstattung. Eine Einordnung des Notebooks fällt allerdings schwer. Sonys Vaio CW1S1E ist für all diejenigen mehr als nur einen Blick wert, die ein stylishes Gerät im Multimediabereich suchen, dabei aber nicht auf Apples MacBook setzen wollen: Der Zweikernprozessor liefert solide Anwendungsleistung und die Grafikkarte liefert genug Power auch für aktuelle Spiele. Vom schicken Design ganz zu schweigen. Die Materialien sind ebenfalls hochwertig, allerdings gibt es rundherum nur Kunststoff. Die Redaktion hat das Sony VPC-CW1S1E ausgiebig getestet und Vorteile, wie die 3D Leistung, und Nachteile, zum Beispiel das Display, entdeckt. Die Vorteile überwiegen allerdings und somit zieht das Sony VPC-CW1S1E in die Top10 der Multimedia-Notebooks ein. An der Verarbeitung gab es bis auf den Deckel nichts zu bemängeln. Bei leichtem Druck gibt der Displayrahmen nach und die Tester erkennen Druckstellen auf dem Display. 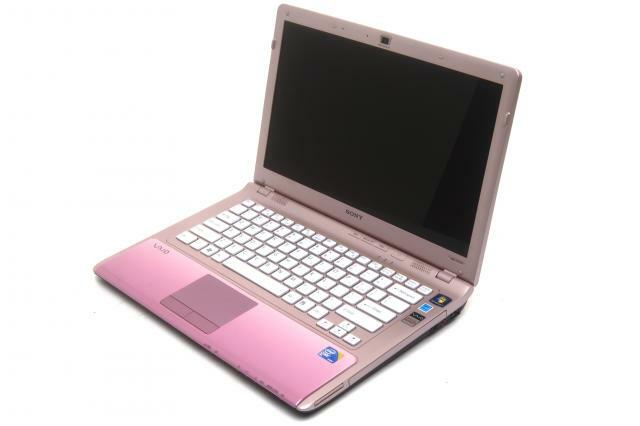 With its glossy pink exterior, the Sony Vaio VPCCW1S1E makes no secret about going after a feminine public. 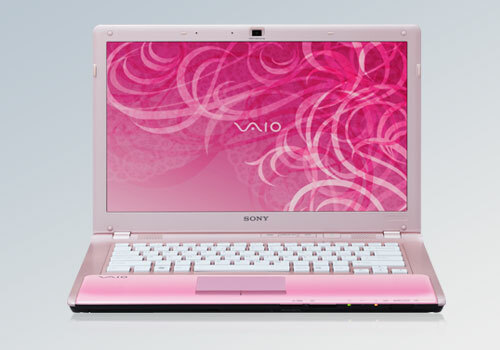 This Sony Vaio manages to look great in its eye-catching pink frame without scrimping on performance. Capable of playing the latest 3D games, it's a good solid all-rounder with excellent components. 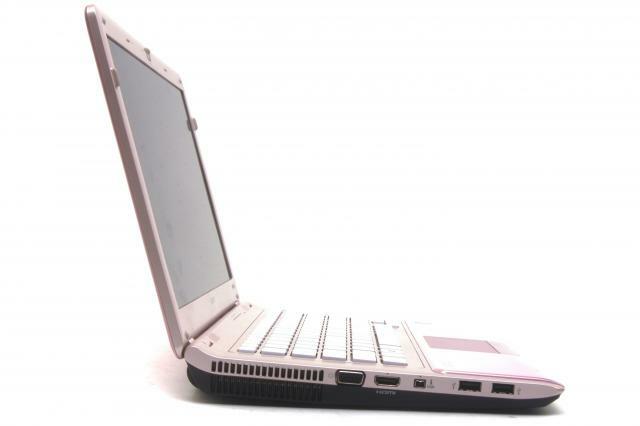 It's a well-made laptop with no nasty surprises that we have no trouble at all in recommending. Leaving aside the wilfully oblique code name, the Sony Vaio VPCCW1S1E/R is a mid-range laptop that wants to be your spanking new main PC. 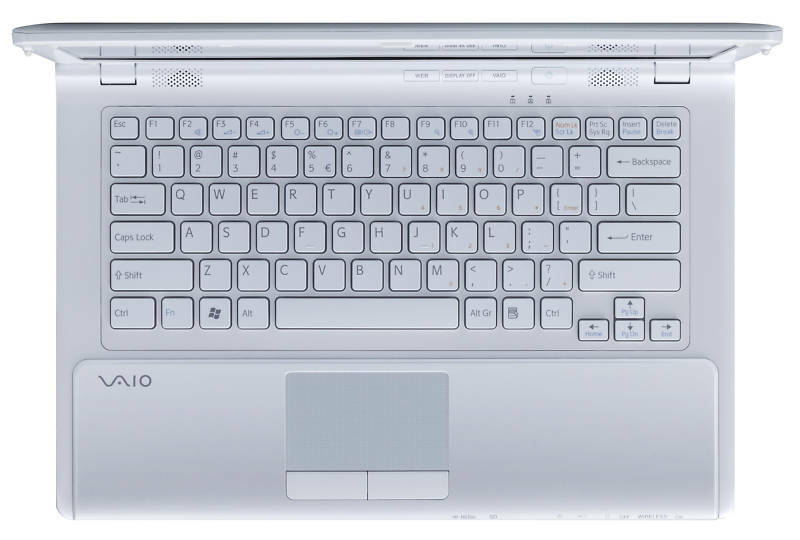 Part of the Vaio CW series, it’s the best model in the range, with features to satisfy even the most fastidious of computer snobs. So hows does it measure up? 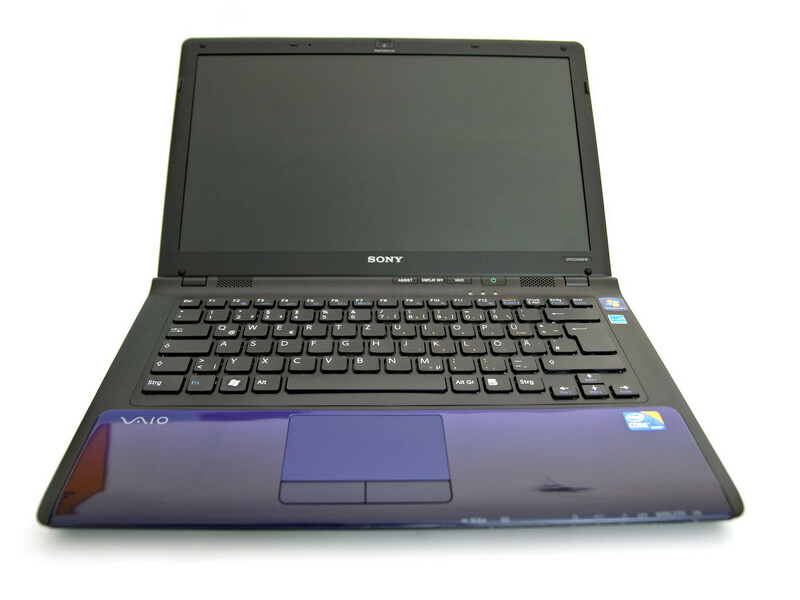 Read our complete Sony Vaio VPCCW1S1E/R review and we’ll give you the full skinny. A specced up stunner with a cracking price tag, the Vaio CW series is great. If you're on the lookout for an affordable laptop, Sony probably won't be the first manufacturer on your list. Given its portable dimensions, it's something of a shame that the VPCCW1S1E doesn't offer more in the way of battery life. Aside from this, there's very little wrong with Sony's latest VAIO. It's reasonably powerful, capable of handling the latest 3D games and, most important of all, is well priced. Sony’s Vaio laptops aren’t perhaps best-known for their good value, but with an Intel Core 2 Duo P7450, Nvidia GeForce 230M graphics and a £699 price tag, this latest model seems to buck the trend. Minor niggles aside, if you’re looking for a compact laptop that’s not short in the performance department, the VPCCW1S1E certainly delivers the goods. Its mediocre battery life is a shame and may be enough to dissuade more than a few potential buyers, but overall it’s very impressive little laptop from Sony. 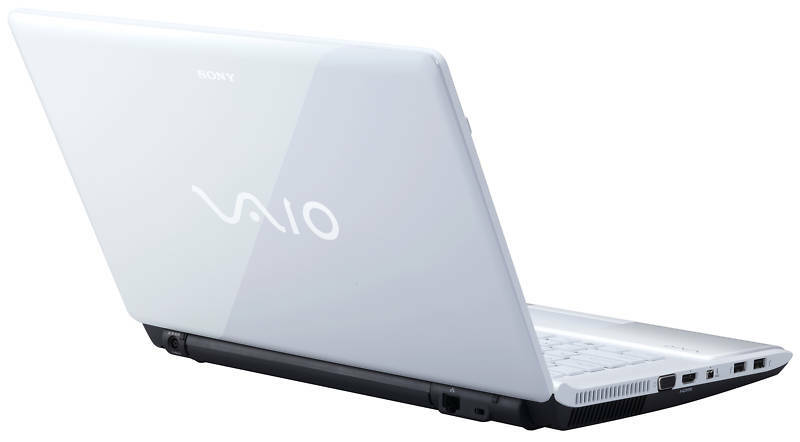 We like the overall design and build of the Sony VAIO CW Series laptops, as well as the fact that Sony has installed plenty of imaging and video editing software to get you up and running straight away. It performed swiftly in our tests and can be used for manipulating photos and videos as well as office and online tasks. Most importantly, it's comfortable to use. A fantastic all-round laptop that's ideal for the home, office and commute alike The Sony VAIO VPCCW1S1E/R is part of the CW Series of the Japanese company's latest mid-range laptop, offering all the style and features we've come to expect from high-end VAIO laptops, but at a far more affordable price. 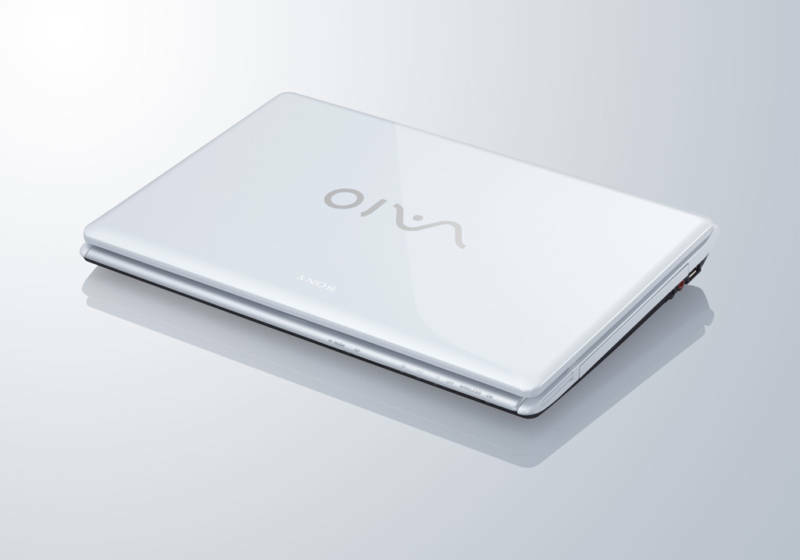 We're very impressed by Sony's VAIO VPCCW1S1E/R. It may be slightly bulkier than some of the other laptops, but it truly is a laptop you can use for any occasion, topped off by a neat design and an excellent user interface. Plenty of manufacturers offer their laptops in a range of colours, but Sony has been at it for longer than most. One can trace this all the way back to the C Series in February 2007, which was replaced by the CR Series in August that year and then the CS Series last year. Sony appears to have righted the wrongs of the outgoing CS Series. This is a very capable laptop that strikes a great balance between performance, affordability and style. Anyone looking for a powerful all-rounder with a little personality should find it the perfect tonic. Perhaps no tech company short of Apple makes style more paramount than Sony. The new Vaio CW series, however, melds Sony’s knack for sharp design with a trait more foreign to the company: affordability. The fresh Vaio line of Nvidia-powered 14.1-inch notebooks charts an intelligent course between style and substance, while keeping price in check all the while, making it a great choice for the practical fashionista on a budget. The Vaio CW Series won't challenge Sony's dramatically thin X Series for portability or style, but what it lacks in slender dimensions, it makes up in power and value. Sony’s VAIO CW1S1E sits smack in the middle of the company’s laptop range, offering impressive value for money without compromising on features or style. The VAIO CW may not be Sony’s most desirable laptop, but that doesn’t stop it from being a great choice. The combination of size and power make it an ideal machine for all types of user, and that it’s just at home on the commute, in the living room or in the office is testament to just how good an all-rounder it is. Mid-range, medium-size entertainment laptops are usually let down by lacklustre 3D graphics performance, but the Sony Vaio VPCCW1S1E has enough power to satisfy all but the most demanding gamer. 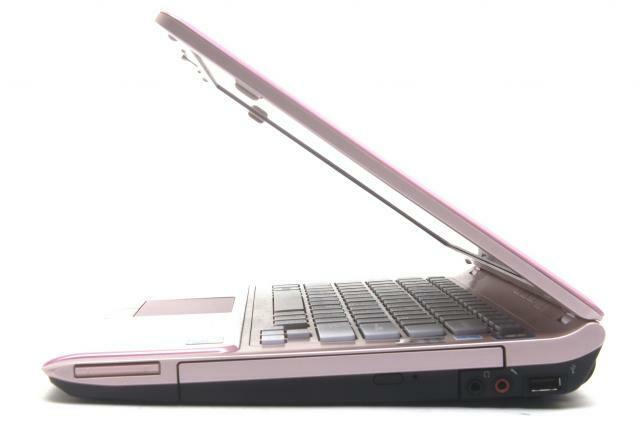 It's a great multimedia machine, even in pink. Medium-size entertainment laptops are a popular choice. They pack, or at least should pack, enough power to do justice to music, movies and games at home, yet are still portable enough to use on the move for more serious pursuits. On paper, Sony's new CW-series Vaio VPCCW1S1E certainly seems to have the specs to satisfy, but does it deliver the goods in practice? 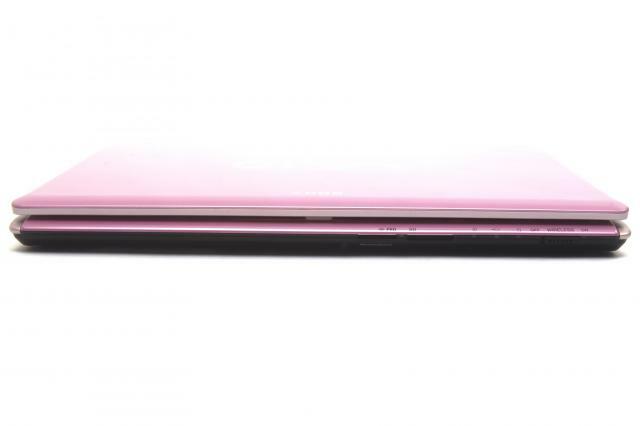 If there is one overwhelming opinion about the Sony VAIO CW Series (VPCCW15FGW) notebook at PC World, it's that it should not be available in pink. Everyone who saw it in our Test Centre despised the colour, wishing instead for black or white (or even the champagne colour that adorns part of the base). 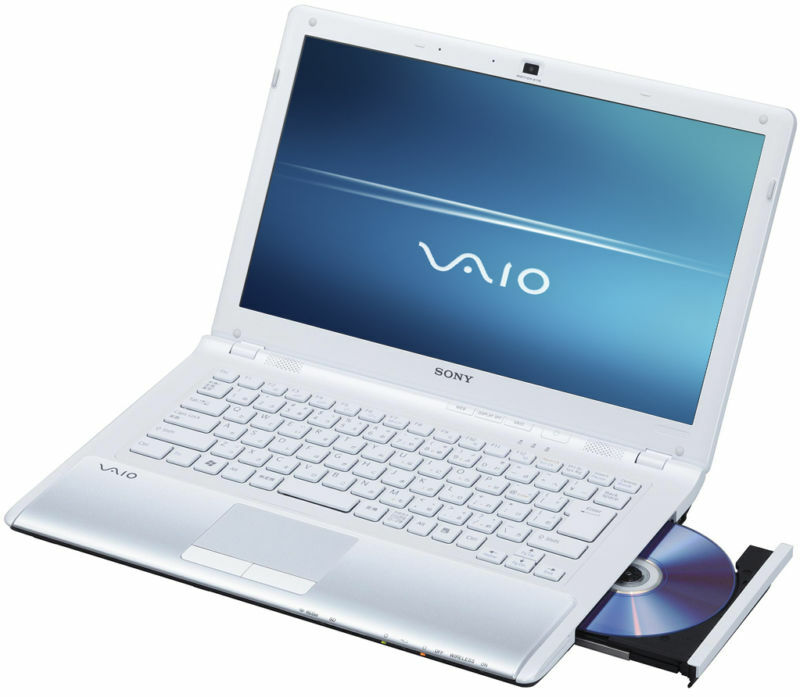 The Sony VAIO CW Series (VPCCW15FGW) notebook is quite stylish and comfortable to use. We like its keyboard and also the software that comes preinstalled on it, but it could use better connectivity options such as eSATA and a full-sized ExpressCard/54 slot. Das Sony Vaio CW2S1E hat gegenüber dem Vorgänger eigentlich nur Vorteile. Die Anwendungsleistung ist mit dem Intel Core i3 deutlich gestiegen, während die 3D-Leistung aufgrund der gedrosselten Nvidia GT 330M Grafikkarte nur marginal besser ausfällt. Wer keine aufwendigen Programme nutzt, ergo den Leistungszuwachs nicht benötigt, kann ruhigen Gewissens zu dem Vorgängermodell Namens CW1S1E greifen. The Sony VAIO CW is a fantastic laptop, especially given the price. It’s stylish, powerful and portable. There are few compromises made. 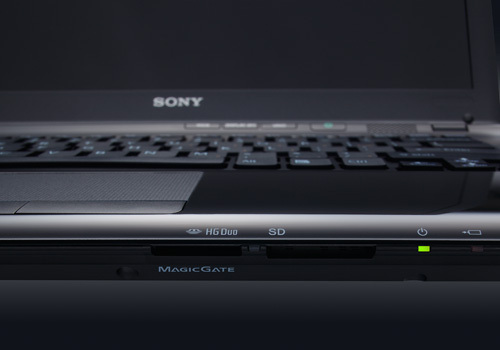 I’d certainly love it if the laptop were thinner and lighter, but then you wouldn’t get an optical drive built in and it would be harder for Sony to put those powerful components inside. For a student looking for a portable laptop that will not be outdated in 2-years and that offers all the power you need to get your school work done and also enjoy some entertainment in the form of multimedia and some light gaming, the VAIO CW fits the bill. Highly recommended! Core i3-Entertainer. 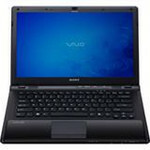 Mit dem Vaio VPC-CW2S1E/L bringt Sony ein neues 14-Zoll-Multimedia Notebook im 16:9 Format mit Intel Core i3 oder i5-Prozessoren und Nvidia GeForce GT 330M Grafik. Wie sich das neue Gerät der CW-Serie von Sony im Detail schlägt, lesen Sie in diesem Testbericht. Das Sony Vaio VPC-CW2S1E/L hinterlässt insgesamt einen guten Eindruck und kann uns größtenteils überzeugen. Das Design wirkt elegant und die sieben unterschiedlichen Farbvarianten machen es modern. Die Verarbeitung ist, bis auf die scharfe Kante an der Handballenauflage, gut gelungen. Die Anschlussvielfalt kann überzeugen und es bleiben keine Wünsche offen. NVIDIA GeForce GT 230M: Die GeForce GT 230M besitzt, wie die alte GeForce 9700M GTS 48 Shaderkerne jedoch nur einen 128 Bit Speicherbus und niedrigere Taktraten. Dank 40nm Prozess bleibt der Stromverbrauch jedoch deutlich niedriger in der Region der 130M / 9600M GT.NVIDIA GeForce GT 330M: Die GeForce GT 330M ist die Nachfolgerkarte der GT 230M und technisch eine etwas höher getaktete GT 240M (und dadurch minimal schneller).Diese Karten können nur sehr alte und sehr anspruchslose 3D Spiele flüssig darstellen. Anwendungen wie Office, Internet surfen, Bildbearbeitung oder (SD) Videoschnitt sind jedoch ohne große Einschränkungen möglich. NVIDIA GeForce G210M: Die GeForce G210M besitzt, wie die alte GeForce G 110M 16 Shaderkerne jedoch konnte sie dank 40nm Prozess bei selben Stromverbrauch deutlich höher getaktet werden (bei um 50% verringertem Stromverbrauch ohne Last).NVIDIA GeForce 310M: Die GeForce 310M ist die Nachfolgerkarte der G 210M und technisch nur durch 30MHz mehr Shadertakt verschieden. Es gibt jedoch auch Versionen mit einem geringeren Kerntakt von 606 MHz.» Weitere Informationen gibt es in unserem Notebook-Grafikkartenvergleich und der Benchmarkliste. 330M: Der Core i3-330M ist ein Mittelklasse Dual-Core Prozessor ohne Turbo Boost Modus. Daher läuft die CPU mit max. 2.13 GHz. Durch Hyperthreading werden bis zu 4 Threads gleichzeitig bearbeitet. Im Package ist auch noch eine integrierte Grafikkarte (GMA HD mit 500-667 MHz) und ein Speichercontroller (beide noch 45nm Fertigung). Dadurch ist der gesamte TDP von 35 Watt nicht sehr hoch. 81.55%: Diese Bewertung muss man eigentlich als durchschnittlich ansehen, denn es gibt etwa ebenso viele Notebooks mit besseren Beurteilungen wie Schlechteren. Die Verbalbeurteilungen klingen aber oft besser als sie wirklich sind, denn richtig gelästert wird über Notebooks eher selten. Obwohl dieser Bereich offiziell meist einem "Befriedigend" entspricht, passt oft eher "mäßiger Durchschnitt".» Lesen Sie auch unsere Notebook-Kaufberatung.